Moco Students for Change has detailed plans for a sequel to last year's protest, which saw thousands of D.C.-area students leave classes for a march in the shadow of the Capitol. WASHINGTON — Exactly a year after walking out of classes for gun control, a Montgomery County student-led group is planning another regionwide action in a continued call for stricter gun laws in the aftermath of last year’s Parkland, Florida, shooting. In a news release last week, Moco Students for Change detailed plans for a sequel to a March 14, 2018, protest which saw thousands of D.C.-area students leave classes for a march in the shadow of the Capitol. The group, founded by Montgomery County high school students during a surge of youth-led gun control advocacy after a mass shooting at Marjory Stoneman Douglas High School, now seeks to rally support for legislation including H.R. 8 — a bill which would require background checks on all gun sales. 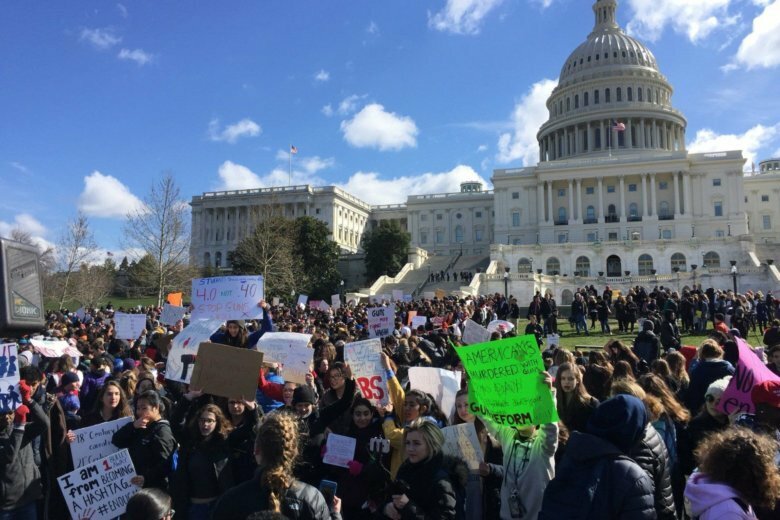 “With this new action, MoCo Students for Change will use their proximity to the nation’s capital to let the members of Congress and the President know that students are not going away until meaningful gun violence laws are enacted,” the group said. Much like the first, the second mass walkout seeks to draw thousands of public and private school students out of classes to downtown D.C. for a march and rally on March 14. Last year, we participated in the biggest student led walkout this country as ever seen. While senate debates on whether to pass life saving legislation, we walk out again. Following 17 minutes of silence — one for each death in the Parkland shooting — the group plans to embark on a 2-mile march to the U.S. Capitol for a rally against gun violence featuring students and guest speakers. “MoCo Students for Change is calling on all students in Montgomery County to join us in this fight for the safety of our fellow students and our fellow Americans,” the group said. Last year’s rally was the D.C.-area installment of “National Walkout Day,” which featured student-led protests across the country. The D.C. program featured several Democratic members of Congress, including then-House Minority Leader Nancy Pelosi, Virginia Sen. Tim Kaine and Del. Eleanor Holmes Norton, of D.C. 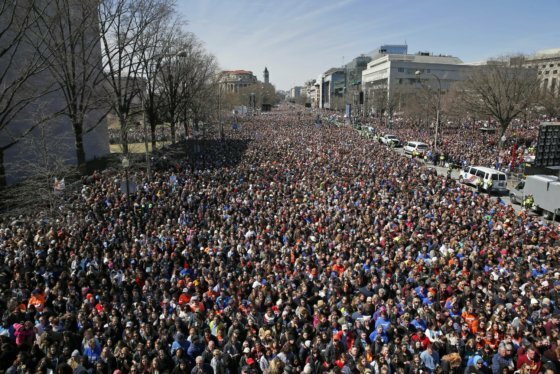 The original event came 10 days before the March for Our Lives brought hundreds of thousands to Pennsylvania Avenue in a rally against gun violence organized by student survivors of the Parkland shooting.